Victoria Island lights up in Christmas, as all the banks want to outdo themselves, with all sorts of Christmas decorations, and it is a beautiful sight, I must say. This led me to wonder aloud, what of residential apartments? Is it only banks that can be lit up? I have seen houses that are decorated with lights during the festive season. This is a pointer that there may be people out there who will like their houses to be decorated with Christmas lights. Decorated homes are a nice way to create an impression on neighbours and an amazing way to celebrate festivities as a house owner. Some people may have the power to go through the stress to do this themselves, and many won’t. That’s where you come in. Start a Christmas light installation business. It does not require any huge capital, so nothing is stopping you. Step 1: Identify a target market and advertise. You can start with word of mouth, or make colourful flyers to advertise. I must warn you that you should be careful how you distribute your flyers. You should be able to discern the kind of people that may be willing to pay for such services. Step 2: Meeting with potential customers. The client may or may not have a clear idea of what they want so it's always a good idea to bring pictures with you. If you don’t have, you can get them off the internet or take pictures of some lit up buildings. Once they've figured out what they want you can give them a quote. Another important thing to do during the meeting is to get an advance. This gets you some start up cash which you don't have to get from your own wallet. Lastly, agree on a date to take down the lights in the New Year. When you have done the job, ask them if they like it and if they'd like to change anything. Step 5: Smile to the bank. Christmas used to be my best time of the year. I used to be so excited. I'll get a new dress, new pair of shoes, new hairdo, attend lots of Christmas parties, all my big aunties and uncles will be giving me money, I'll get my heart desire (that I had been prompting my parents on) under the Christmas tree, etc. Maybe it's because I’m older now, I don't get so excited anymore, Lol. No more Christmas dress, or Christmas shoe or hairdo. Nobody is even dashing me One Naira anymore. Let's just say, it's now my turn to be spending money here and there, buying gifts for everybody. I'm too busy calculating and figuring out what to get for my peps. Lol. Christmas for me starts when I see the delight in people’s faces when I give them a present this season. Everybody spends money during this festive season. It is a season to be merry and give, based on this fact, this is the perfect time to start a venture, and holds a business idea in itself. This month, we'll be talking of creative businesses you can do during Christmas. 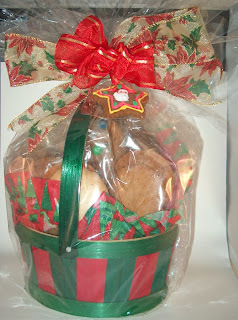 Today, we are featuring Christmas Desert Gift baskets. You know every xmas, we always get hampers, with all sorts of stuff inside from cornflakes, to juice, wine, jam, coffee, etc. You can stand out with a customized desert gift basket. This service is not all over the place. To do this, you need to have flair for baking or at least be willing to try, or willing to partner with someone who likes to bake. The amazing thing is that, it's easy and cheap to start. Step 1: Pick a desert(s) to work with. Here is a recipe of Chocolate Chip Cookies in case you have no idea of where to start from. · 1/2 cup butter or margarine. · 1/2 cup brown sugar. · 1/2 cup granulated sugar. · 1/2 teaspoon of vanilla. · 1/2 teaspoon of baking soda. · 1/2 cup chopped pecans. · 1/2 semisweet chocolate chips. (If you don't find pecans and chocolate chips, you can improvise with mixed fruits). · Preheat oven to 375 degrees. · Cream butter or margarine; add sugars and beat until light and fluffy. · Beat in egg and vanilla. · Sift flour, salt and baking soda; add to creamed mixture. · Stir in chocolate chips and pecans/mixed fruits. · Drop the batter from a teaspoon, well apart, on a greased flat sheet. · Bake for about 10 minutes. This makes about 2 dozen chocolate chip cookies. 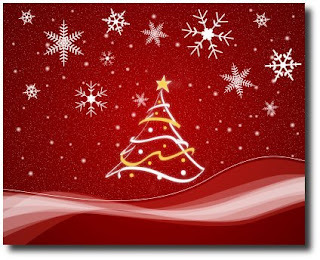 Buy some transparent wrapping paper, basket, ribbons, to wrap the cookies beautifully and creatively. Step 3: Market your services. Actually this step can be done at any point, even before you bake the cookies. Word of mouth is the best form of marketing. Start with family and friends, and always ask for referrals. Step 4: Always seek feedback from your customers after sales. Be on the look out for complementary services to add to your business, and ways of improvement. Please inform me if you decide to try this, send me your success story or challenge(s) you faced. Like I said, This is not rocket science. Hello All, My name is Stephanie, and I'm really passionate about entrepreneurship, especially with the alarming statistics of unemployed people around. I've been thinking of how we can be free from the scorge of joblessness, and the only thing that makes sense to me to me, is that we all should get busy creating value. There's no point blaming government and global recession. The earlier we start doing something, the better for us, or else...please fill in the gap. I invite you with me on this new adventure, as we explore things we can do in Nigeria, to make us successfull entrepreneurs, and maybe make a couple of bucks. I will not promise you that the opportunities we will be discussing here will make you an overnight millionaire, in fact the only way you are going to even succeed at all is to come prepared with a good share of humility, hard work, persistence, creativity and much more. It's going to be fun trying out some new stuff, and learning new things too.Please bookmark this page, invite your friends, family, anybody, whoever. Let's roll. This is no rocket science. I can assure you.